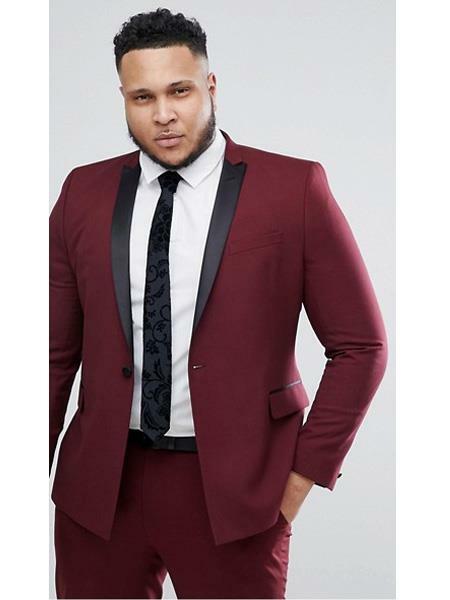 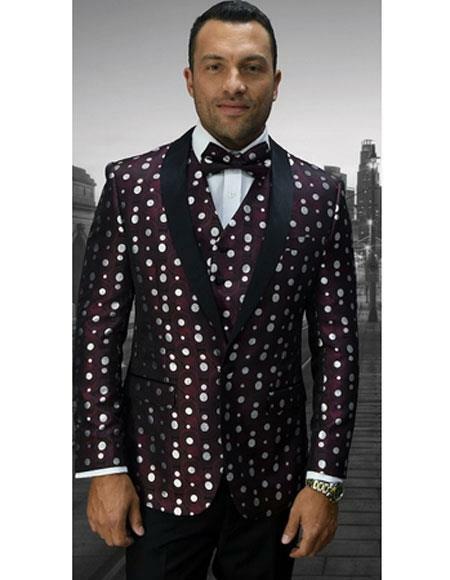 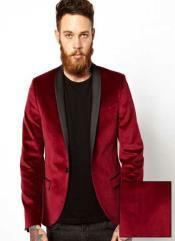 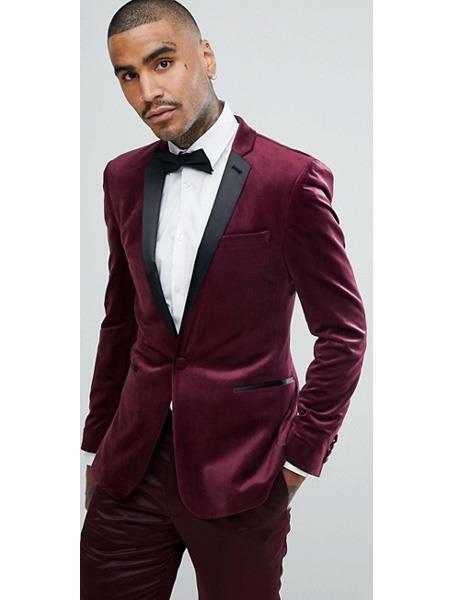 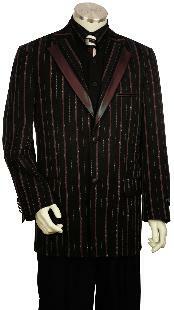 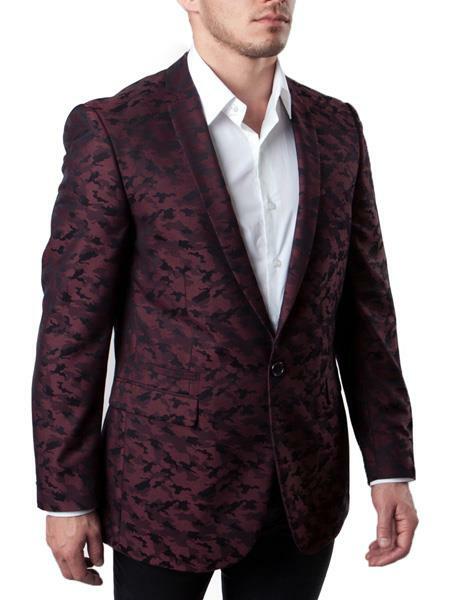 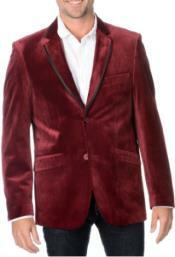 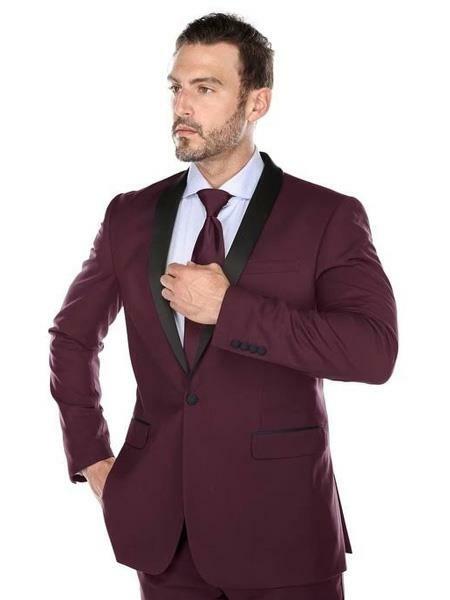 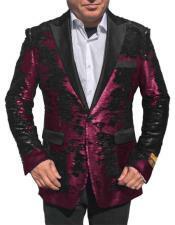 Men's Slim Fit 1 Button Burgundy Two Toned Black Lapel Satin Shawl Collar Dinner Jacket Looking! 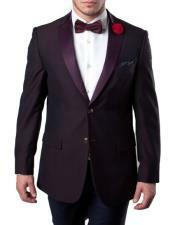 Tuxedos are traditional wears for men that are best suitable for any special or grand occasion. 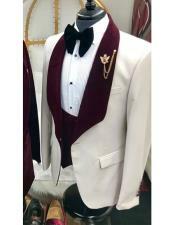 Usually a black or white tuxedo is the most common option for any man attending a wedding or for his wedding itself. 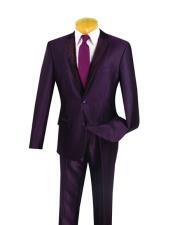 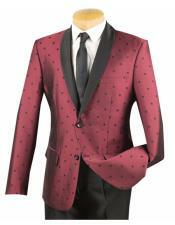 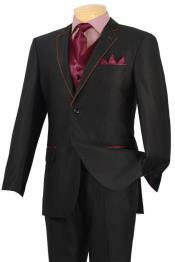 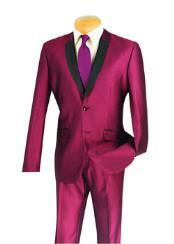 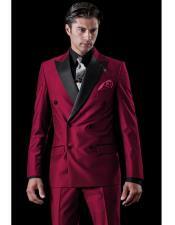 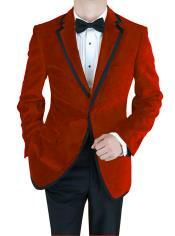 But these days many bright colored tuxedos are available that portrays an outstanding look and a classy personality. 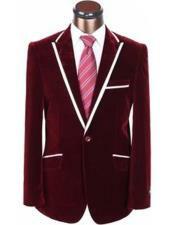 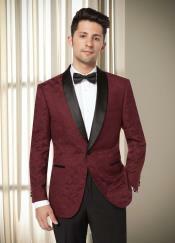 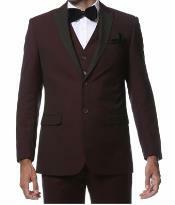 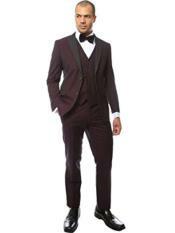 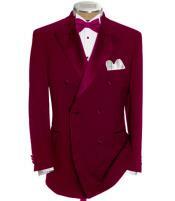 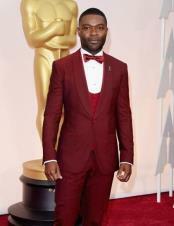 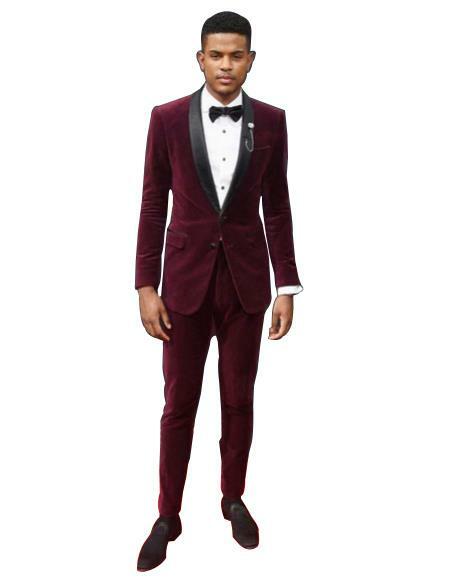 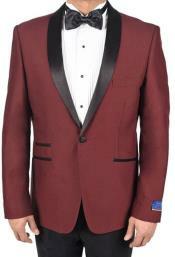 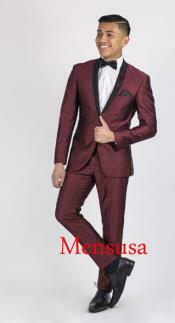 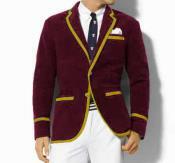 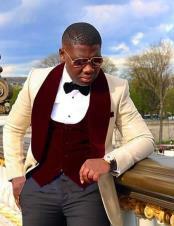 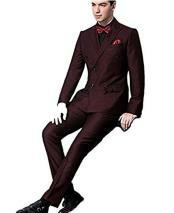 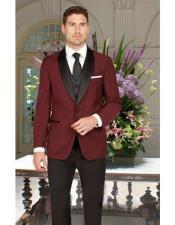 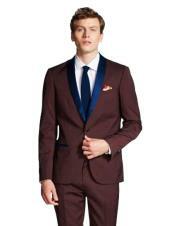 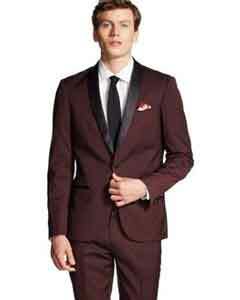 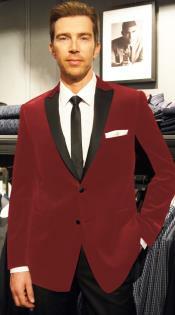 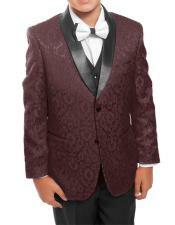 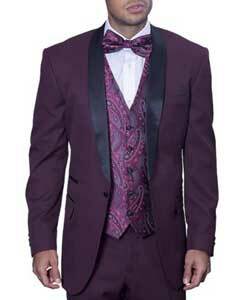 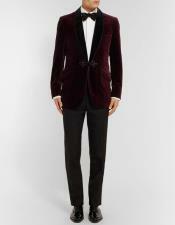 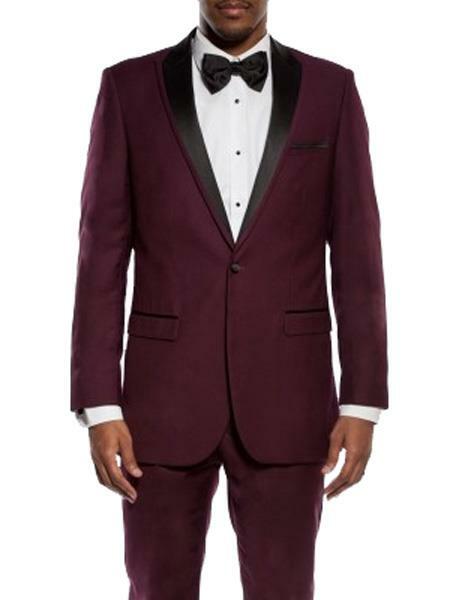 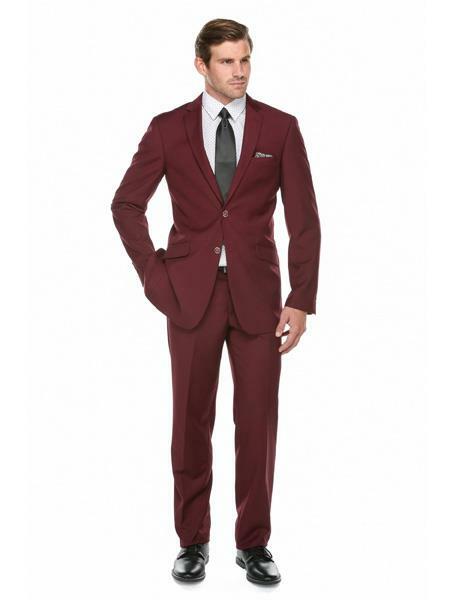 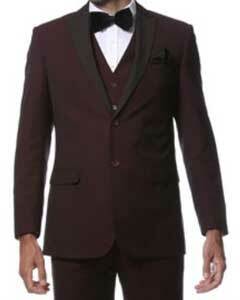 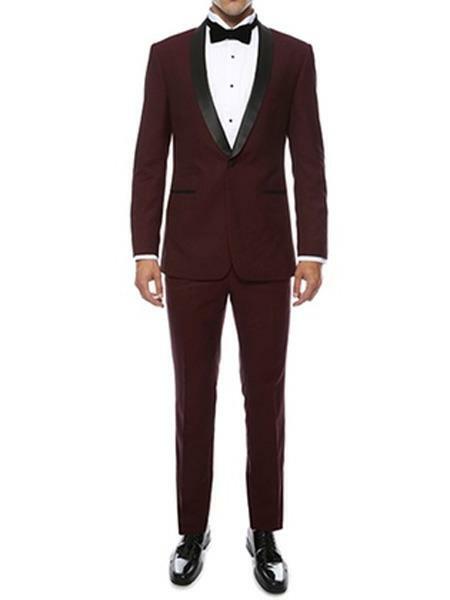 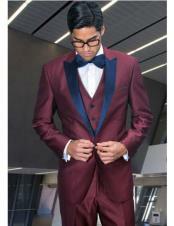 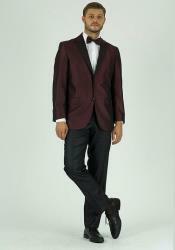 The best and the handiest option is a burgundy colored tuxedo which is an alternative to a black or a white tuxedo. 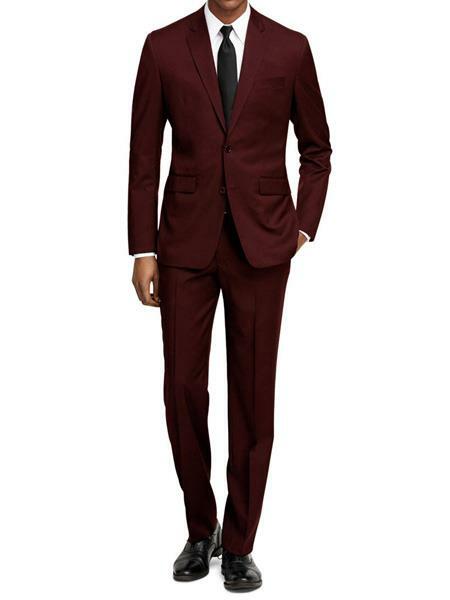 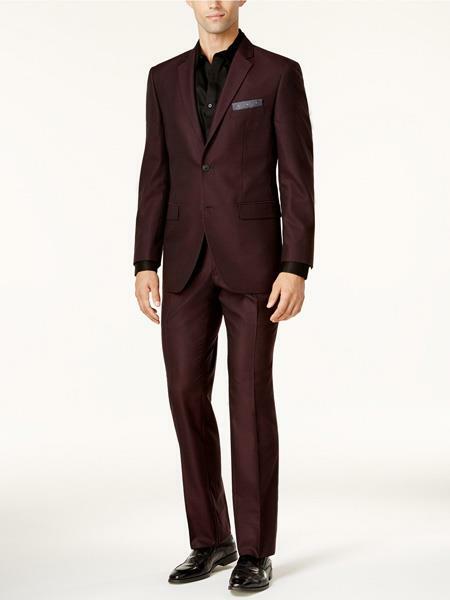 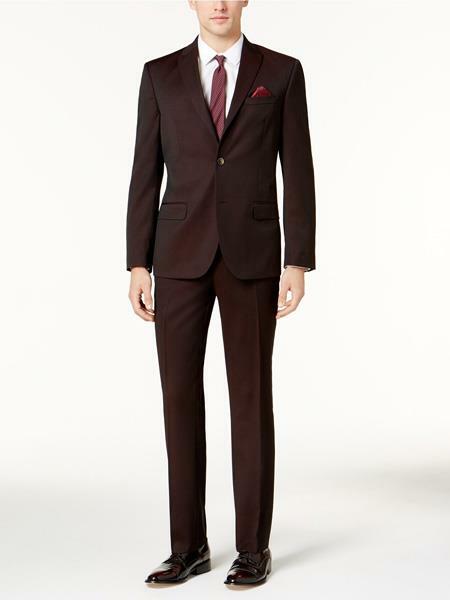 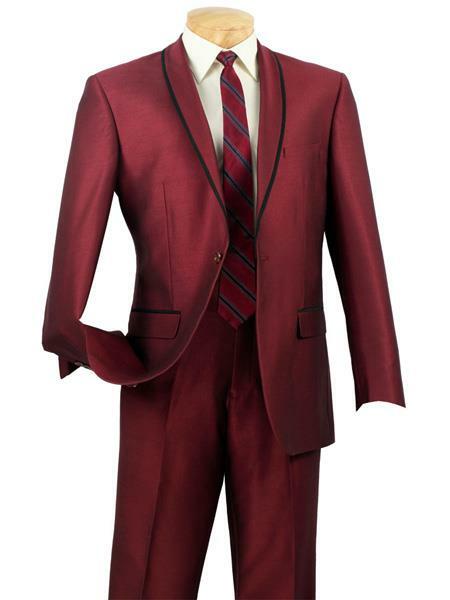 A burgundy tuxedo is also the best option for a wedding suit. 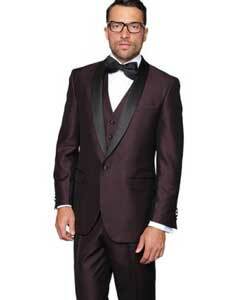 A groom can go in for a Burgundy tuxedo that perfectly fits his body with fine cuts and suitable finishing touches. 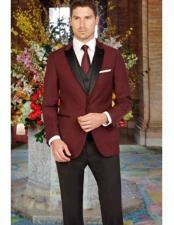 These days a burgundy tuxedo suit is designed with classic fabrics that add a touch of elegance to the piece of garment. 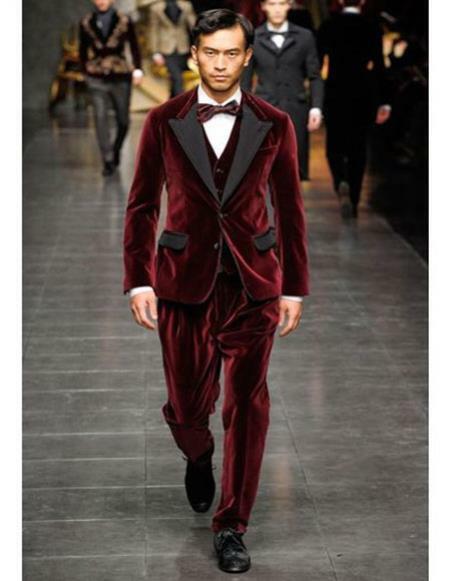 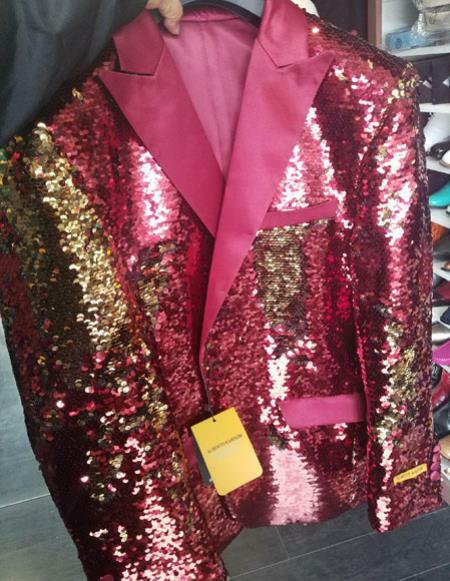 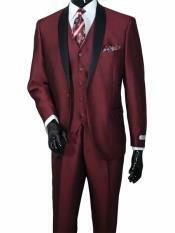 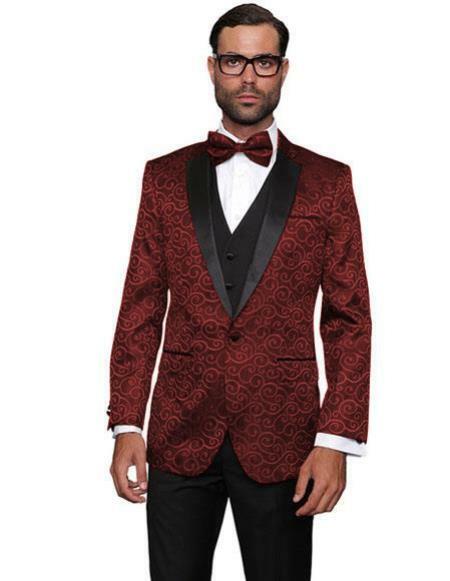 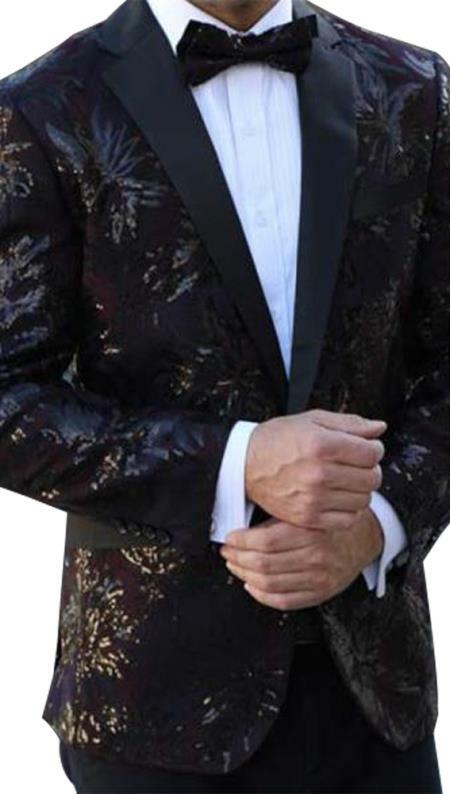 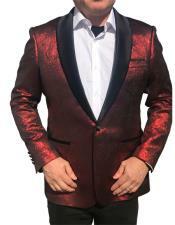 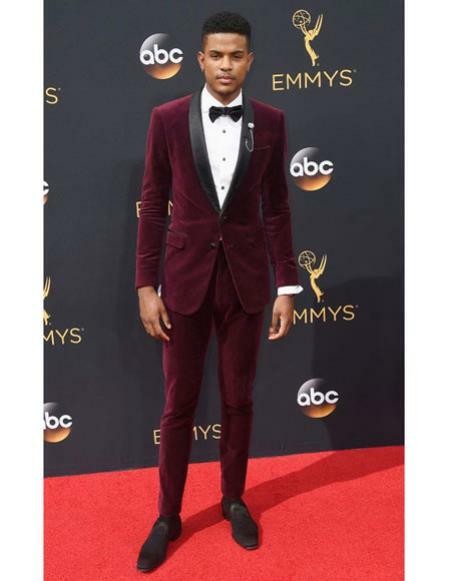 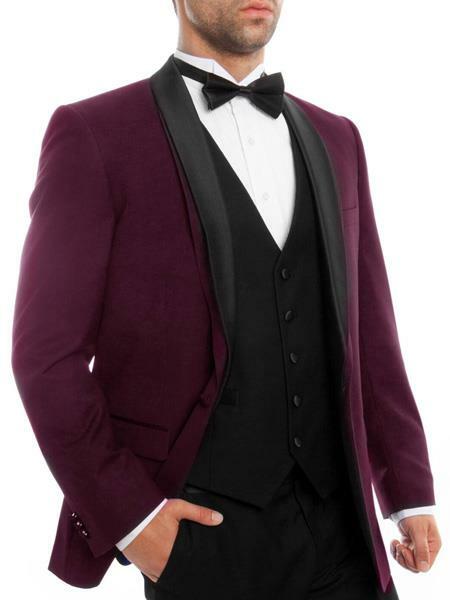 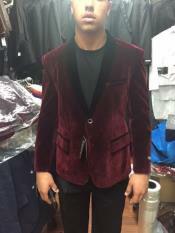 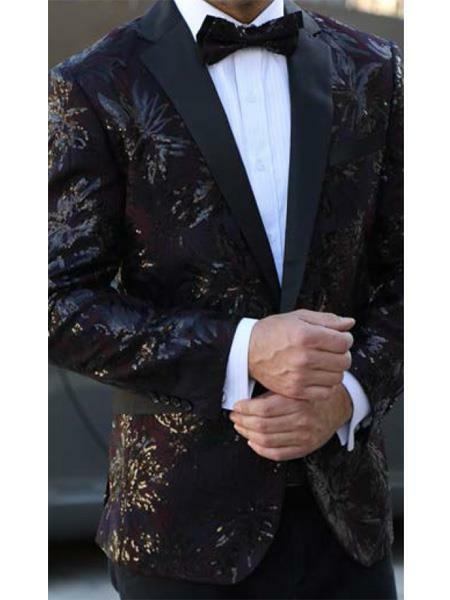 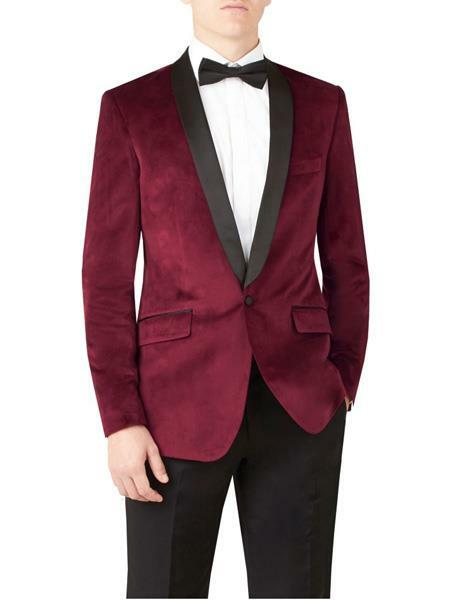 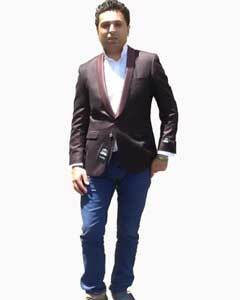 Velvet burgundy tuxedo suits which have fine satin lining looks so elegant that you are sure to grab almost any ones attention at the event. 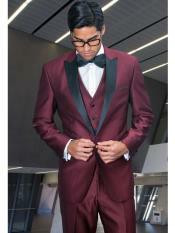 These tuxedos are so versatile that best fit for any occasion be it formal, semi formal or informal. 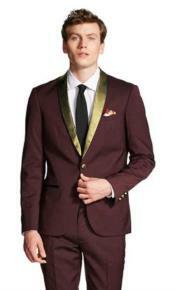 The color looks traditional, cool and at the same time regal and elegant. 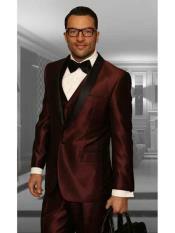 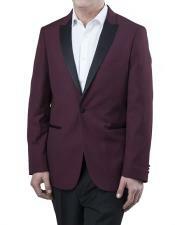 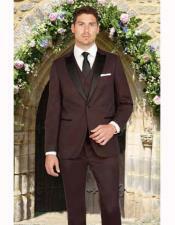 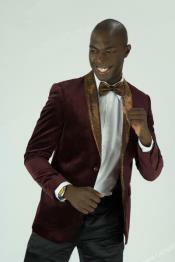 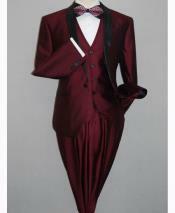 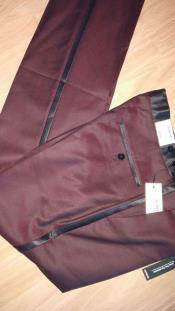 Burgundy tuxedos are designed to perfectly fit the individual's choice and at the same time make you feel comfortable. 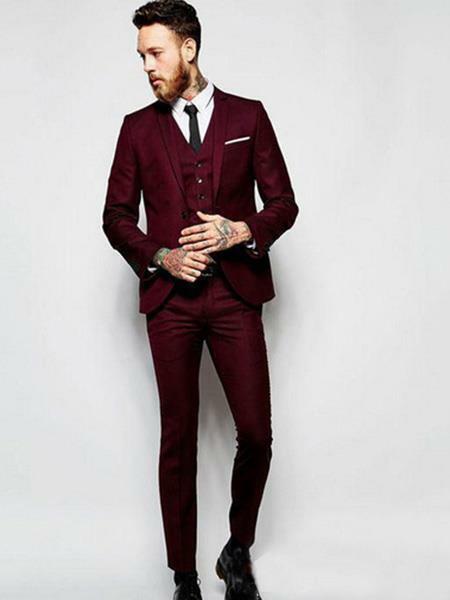 If you are looking out for a change or you want to experiment with your looks then changing the colors of your garments can be a perfect solution. 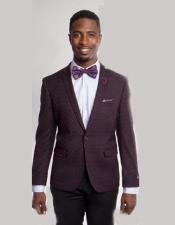 Burgundy is a unique color that is eye catchy and imposes an alluring look of the outfit. 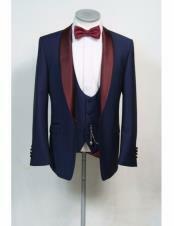 And tuxedos are always considered as fashionable and elegant. 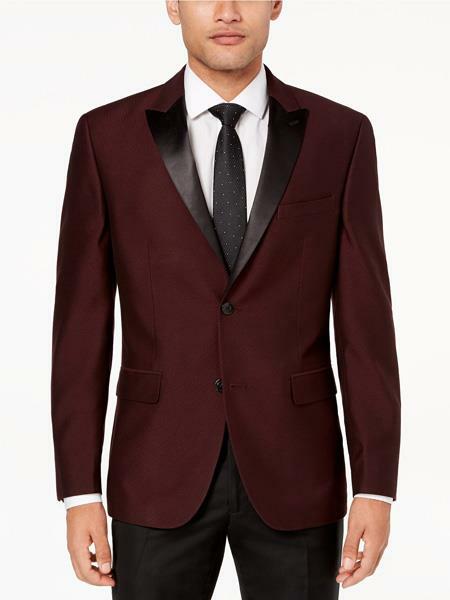 So here you go with a perfect and stylish burgundy tuxedo suit, looking the most alluring and attracting every ones attention. 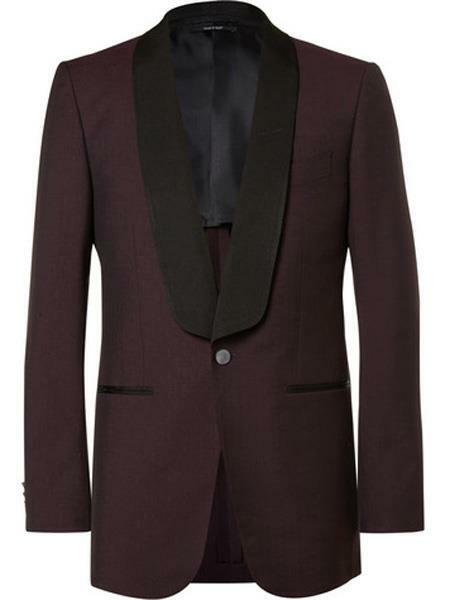 A classic burgundy tuxedo suit is a must have garment in every man's wardrobe today.